Lawrence Alvison “Pat” Hyland (☆ August 26, 1897 in Nova Scotia, Canada – † November 24, 1989 in Lancaster, California) was an American physicist and electrical engineer. 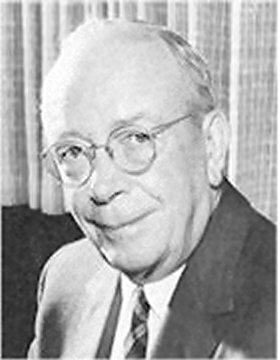 Hyland was born in Canada, but came with his family to the United States in 1899. He was raised in Massachusetts. Hyland enlisted in the U.S. Army in 1917 and saw extensive combat as a Sergeant of Field Artillery in Europe. He later enlisted in the U.S. Navy and served as a radioman both on cruisers and in aircraft during the pioneering years of naval communications. He was discharged in 1926 as a Chief Radioman. Hyland joined the Naval Research Laboratory (NRL) as a radio engineer in 1926. He and other researchers discovered that an airplane flying over their radio antenna caused changes in the signals they received. Further experiments by Hyland and his fellow researchers proved that radar could not only detect nearby airplanes, but could also be used to find out exactly where they were in the sky. In 1934, Hyland and two of his colleagues received the first U.S. patent for radartechnology. Hyland was granted thirty-nine U.S. Patents.